I am working on a presentation specifically for school administrators to help them gain a better understanding of school libraries and school librarians. 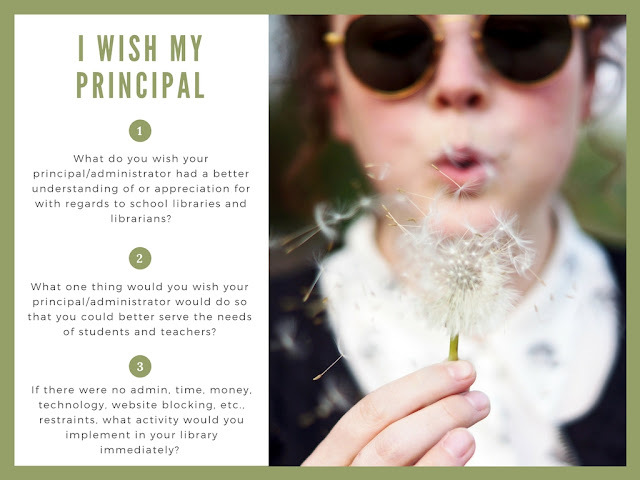 Please help me gather information that YOU wish your principal/administrators knew about you and your library by answering the questions pictured above via the Google Form below. Thank you in advance for helping me curate this information. No names or locations will be used in the presentation.